Product Size : 65ml. STRONG, HEALTHY SCALP LASTING DANDRUFF PROTECTION ELIMINATES DIRT & STYLING RESIDUE FOR ZERO DANDRUFF. TARGETS DANDRUFF, ITCH & DRYNESS AT SOURCE. 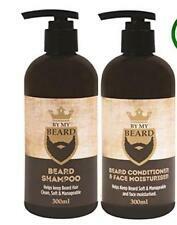 Gently massage into wet hair and scalp, rinse thoroughly. With the pH value of 5.5 of healthy skin. Free from colourants. The new cleansing formulation removes excess oil gently from hair and scalp and reduces progressive hair loss which is often associated with increased oiliness of the hair and dandruff. Water based formula to easily wash out in cold water. Directions: Use on dry fibres, spray lightly and evenly before combing through. Especially useful to prevent friction matting on long fibre and at the nape of thr neck. ORS™ Olive Oil Creamy Aloe Shampoo. Adds natural shine to the hair Olive Oil Replenishing Conditioner™. The ORS product range includes Olive Oil, HAIRepair, Olive Oil Girls, Hair Restoration, Essential Oils, Olive Oil Professional Range, and Curls Unleashed™. Our product PROTEINELLE HAIR MASK is a Keratin based protein that has a magnificent result. Our product can be compared with hair repair or lamination of hair done in a beauty salon. - There is such a thing as too much protein for your hair. Revlon Nutri Colour 3 in 1 Cocktail BALL 270ml. 1011 Intense Silver. Get ready to refresh any Revlon Professional shade or create fantasy colors in fun, creative styles using our latest color techniques. Bioderma NODE DS Shampoo against intense dandruff 125 ml. Strong corneal agents remove dandruff and facilitate its elimination. 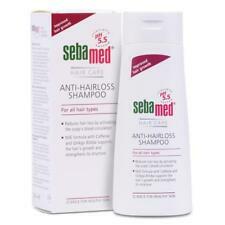 Anti-dandruff shampoo with creamy texture for intense scalp with intense itching (seborrhoeic dermatitis). 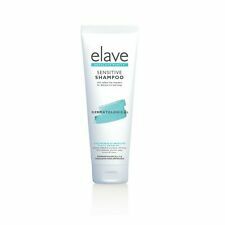 This no-foam formula gently cleanses, conditions and detangles. It uses a gentle cleansing system to help remove residue and build-up of dirt and styling products. To use: Wet hair thoroughly and apply a generous amount. Head and Shoulders by Head and Shoulders Extra Strengthening Tonic 125ml . L'OCCITANE 5 ESSENTIAL OILS CONDITIONERS 2 X 50ML - FROM ONLY £2.90 !! Africa's Best Organics Hair Mayonnaise. Daniel Galvin Dubble Trubble Cucumber Detangle. Conditioner Spray 50ml Travel Size. Hydra Source by Matrix Biolage Conidtioner for Dry Hair 200ml Hydrasource . 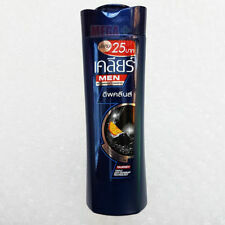 Cool Brunette Shampoo (250ml). Cool Brunette Conditioner (250ml). A daily conditioner for normal to dry hair that weightlessly hydrates and detangles. This luxurious conditioner with jojoba oil detangles and conditions weightlessly. The formula is further enriched with angelica seed extract (76%) known for its purifying and toning properties to increase hair’s vitality and shine. NEW Rene Furterer Forticea Energizing Shampoo For All Hair Types 200ml / 6.7 fl. The Rene Furterer Energizing Shampoo provides Guarana and active bio-spheres with contain essential oils. By stimulating and energising the scalp it supports the hair, strengthening it at the root. Plantur 39. The caffeine in these shampoos could help to reduce the hormone-induced exhaustion of hair production. During hair washing, the active ingredient penetrates all the way into the hair follicle. Treats your scalp, cares for your hair. 4 x 250ml T/Gel Therapeutic Shampoo. Treats Itchy, Flaky Scalp. Neutar™ Solubilised Coal Tar Extract. 4 x large 250ml sealed boxed bottles. Seborrhoeic Dermatitis (dry, itching scalp). To use: Apply to wet hair. Massage and then rinse thoroughly. Floris Conditioner. You will get 5 individual bottles with 50ml in each. Le Petit Marseillais Shampoo. LE PETIT MARSEILLAIS shampoos 300ml. - Honey nourishes and softens the hair. - Milk of shea butter, rich in vegetal lipids, repairs and protects the hair. Selsun Blue Anti-Dandruff Shampoo. Replenishing For Normal To Dry Hair. Clears Dandruff Fights Itch. The Science Of Healthy Looking Hair And Scalp. Rinse thoroughly from the hair before colouring, bleaching or perming. Perfect for coloured hair, Indola Innova Color Shampoo works with all types of hair, locking colour into the hair for up to 90% colour retention. The colour-enhancing formula is infused with Silk Cocoon Proteins and SMART Pixel Technology for Virgin-like hair quality and 100% more shine! After shampoo, rinse off your hair fully. This is a hair shampoo for scalp care which has Mint Complex ( Mint Oil Mint Extract). Natural fresh scent gives you freshness & cooling. All Skin Type. Product info.